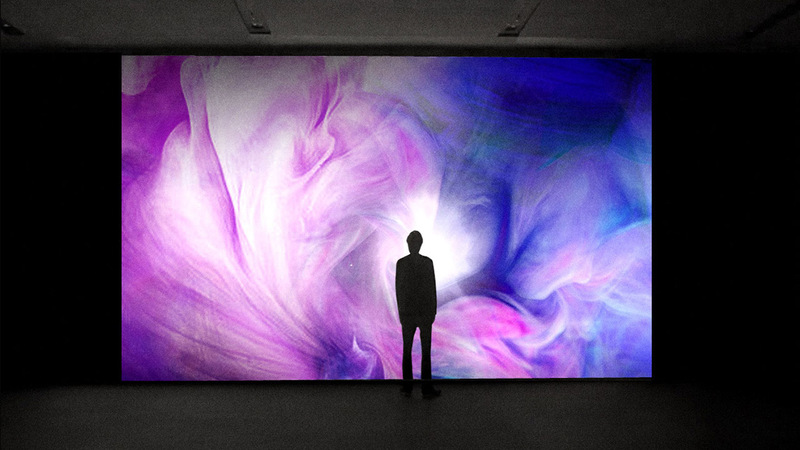 Exhibit:Growth is an experiential art installation commissioned by Umpqua Bank, aiming to take visitors on a personal journey of growth and self-discovery whilst demonstrating the power and beauty of a collective experience. 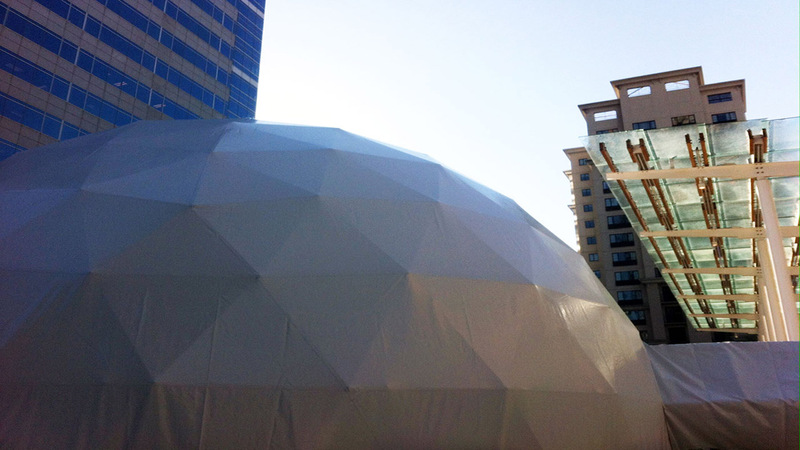 Mill+ designed the interactive elements inside a 40-foot geodesic dome in Portland's Director Park, taking visitors on a journey through the graphic stages of Fear, Isolation, Frustration, Regret and Confusion, culminating in the Community Tree Growth Sequence. 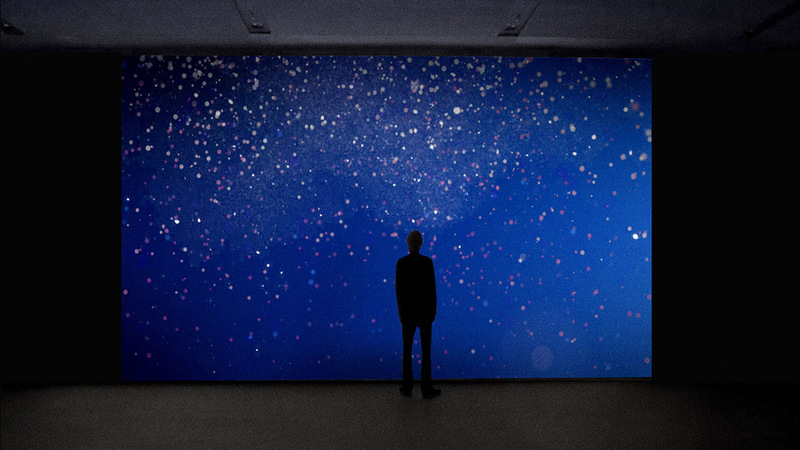 Clarice Chin, senior art director, led the Mill+ team in creating the stunning visuals for the exhibition. Ultimately, the exhibit highlights how truly unique Umpqua Bank is and its role within the community. The project began with a simple question, "What does it take to have a conversation about money?" The bank aims to surmount the taboo of talking openly about finances through the medium of art. 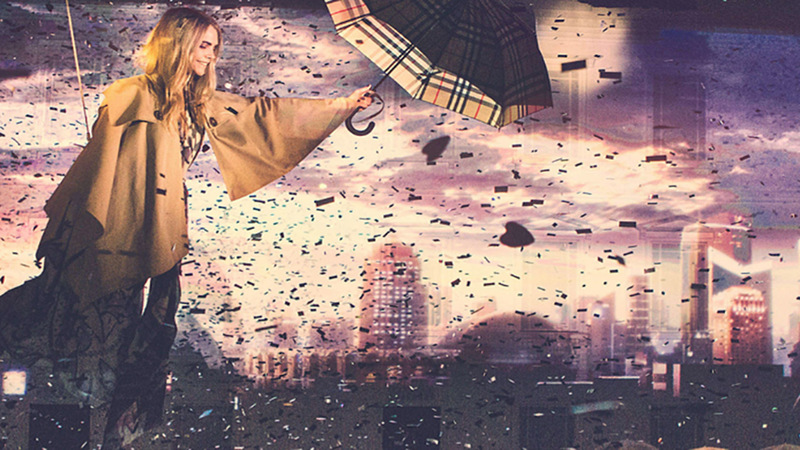 The experiential project is rooted in cutting edge and innovative creativity. Like stepping into a gallery, participants enter the space to take on new perspectives and experiences – a more open mindset than the everyday. 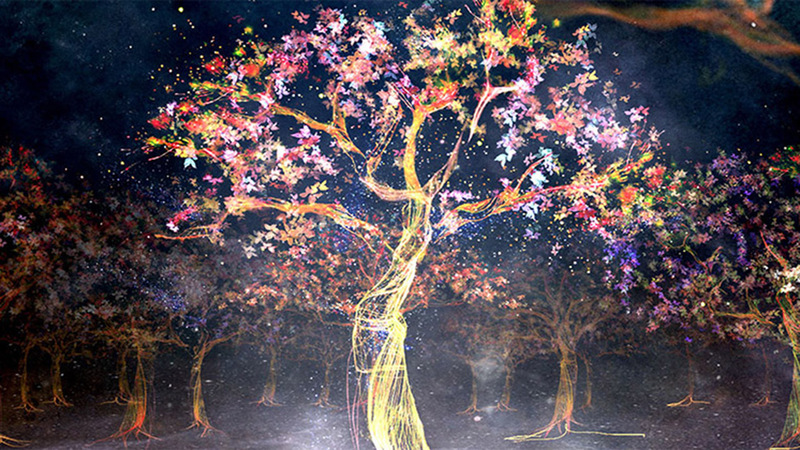 Using Kinect motion-sensing technology, participants can interact with the visuals through their movements, building up to the final tree sequence. 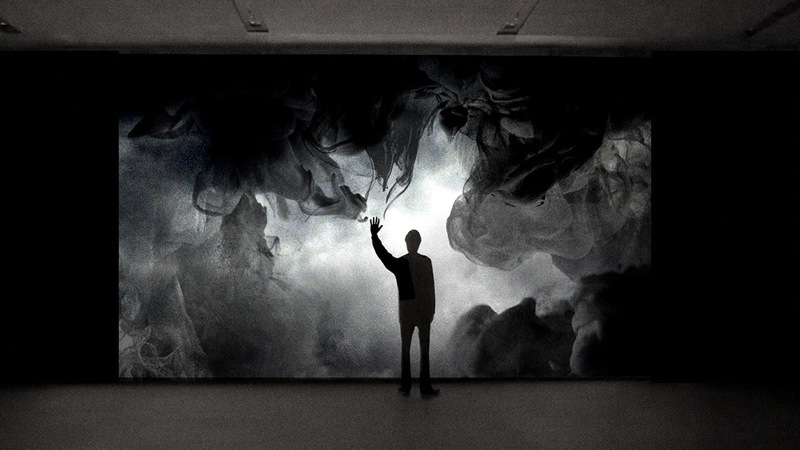 Fear is a dark, stormy, ominous scene of rolling clouds that comes in stages: as the participant stands stationary, the clouds drift and softly rumble; once they begin to move, tendrils seep out of the clouds and lash out, grasping towards the participant. When the user stops, the tendrils twist and encapsulate them; and when they move again the audio lifts in intensity with the tendrils growing into a more consuming visual and the palette grows darker. Isolation is made up of beautiful organic patterns that create pockets of negative space around the viewer. 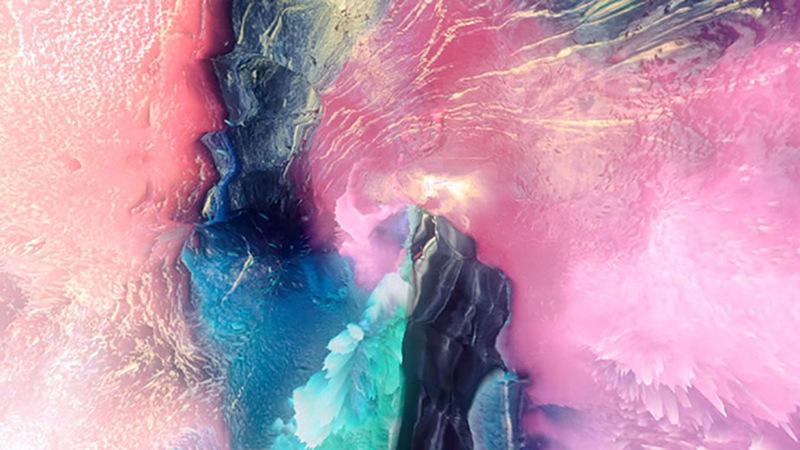 It's a scene so beautiful that you want to reach out to it, touch it and engage with it – but with every attempt the pattern repels away from you, causing a rippling affect across the screen. 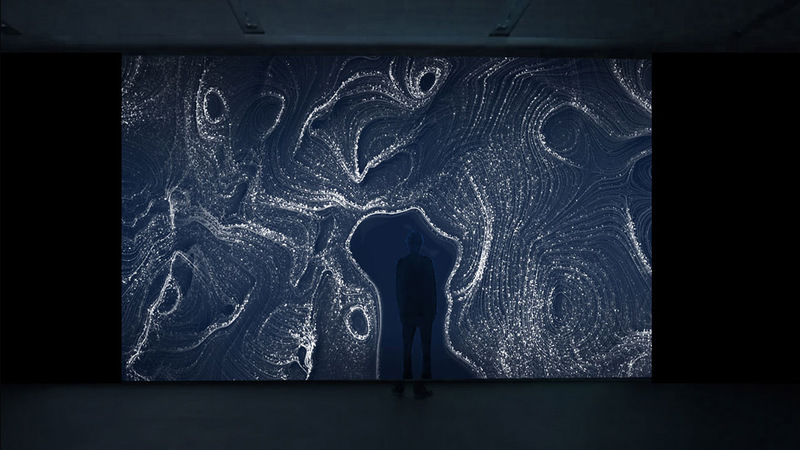 Made up of almost sand-like particles to enhance the geographical / topographical feel of the pattern combined with the color blue to suggest a quietness, sadness and grief, with morphing patterns that ultimately create a cavity around the participant. Regret is a melancholic scene of glistening particles set in a dark background that wash over the participant. Drifting in and out of focus, the particles echo the way in which memories fade in and out of consciousness yet remain ever-present. There is a meditative and ever-evolving quality to the scene, with particles following the participant in a gentle trail as they move about the piece. Overall, it's an experience of calm and reflection. Confusion primarily strikes the participant with a bright light behind a haze of particles. Swiping past the initial wispy haze in an attempt to reach the light, the following layers are swept aside to reveal different colors and tones without the haze ever really subsiding – only building more and more confusion. The experience concludes with the Community Tree Growth Sequence, putting the visitor in control of growing the seed. 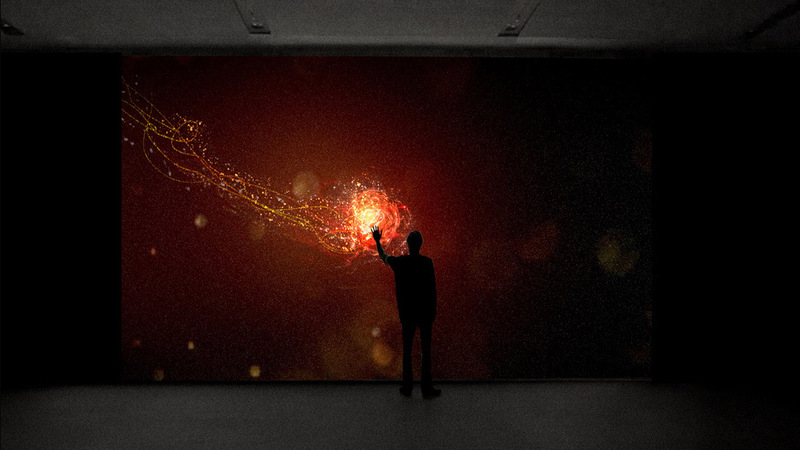 The exhibit uses motion-sensing technology to produce a visual expression of the visitor’s movements through the sequence. Inspired by the potential for growth within us all, both as individuals and as a community, visitors' final creations are connected with previous participants within the exhibit. And to complete the experience, a piece of digital art is emailed to participants so that they can share their personal artistic experience online using the hashtag #ExhibitGrowth. 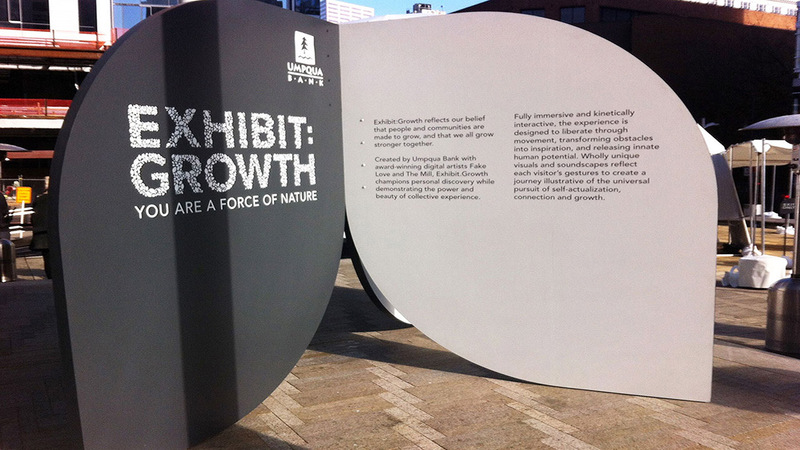 Exhibit:Growth is free and runs Nov. 14 to Nov. 23 at Director Park, Portland. Find out more.